Carpenter bees bore a half inch circular entrance hole in wood. They then travel inside the wood along the grain for many inches. While they rarely cause structural damage unless left untreated for successive years, they provide entrance for water which can cause decay of wood. They also attract woodpeckers in search of bee larvae. 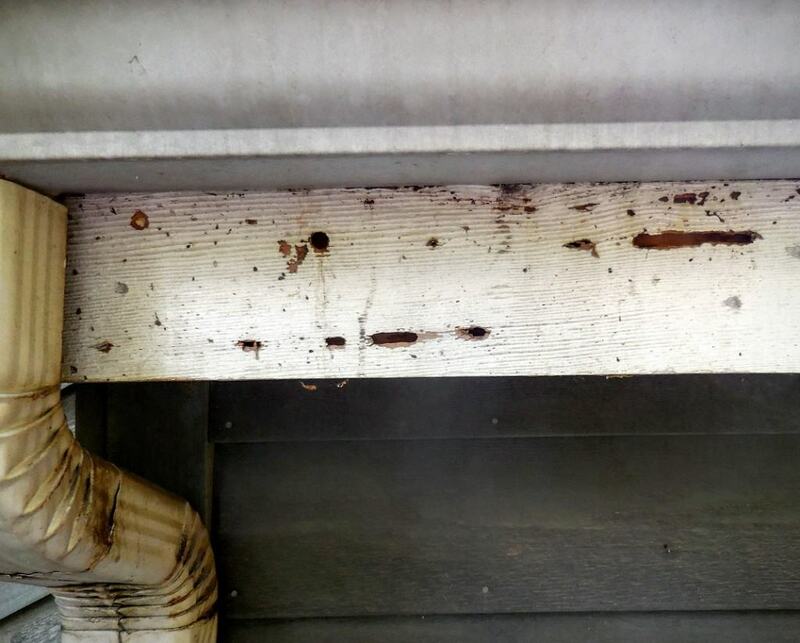 The round holes in this fascia board were created by carpenter bees and the horizontal holes are most probably created by woodpeckers seeking the bee larvae. A professional exterminator should be consulted to remove the bees and then a general contractor should be consulted for repair of the damaged wood.